Our deserts section covers the Anza Borrego Desert State Park and the communities of Borrego Springs, Ocotillo, Ocotillo Wells and Jacumba. Read more about WELCOME, DESERT DENIZENS! April 2, 2019 (Borrego Springs) – The Alice Wallace Band will perform a free outdoor concert this Sunday, April 7 at the Springs At Borrego (2255 DiGiorgio Rd.) in Borrego Springs. Recently named female vocalist of the year in the California Country Awards, Alice Walker is a singer/songwriter who mixes modern folk, classic country, American and blues into a genre all her own. Special report: April 1, 2019 (Borrego Springs) – The Borrego Water District, in partnership with the Borrego Chamber of Commerce, has issued a plan to help ease the region’s dire water shortage. A new publicity campaign titled “Bring a bottle to flush: keep the desert lush” is rolling out today. Flyers, posters and press releases urge tourists and residents to buy bottled water outside the region and to please pour a bottle into the toilet before each flush. March 30, 2019 (Borrego Springs) — Construction crews will close a 13-mile segment of State Route 78 (SR-78) from San Felipe Road/ Great Southern Overland Stage Route (S-2) located just east of Julian to Borrego Springs Road for 24 hours beginning Wednesday at sunrise. The closure is needed for rock scaling to remove boulders and loose soil from highway slopes to ensure that they remain stable. November 25, 2018 (Borrego Springs) – Borrego Springs is under a state mandate to submit a plan early next year to reduce the desert community’s water consumption by 75 percent by 2040. The town relies 100% on groundwater – and it’s using far more than is being replenished through rainfall. Citrus and palm farms use 70 to 80 percent of Borrego’s water, so the only way to meet the staterequirement and save the town’s only water supply is to eliminate some or all of the farms. Photo: More than 50 Borrego residents made the long trip from the desert to show opposition to the project. September 13, 2018 (Borrego Springs) – By a 3-2 vote, San Diego Supervisors rejected a request to upzone 169 acres in Borrego Springs. The proposed Borrego Country Club Estate project sought to build 169 homes on land currently zoned for just 16 residences. The site known to locals as “Rudyville” is located in south Borrego Springs on land that includes ancient Ocotillo groves and endangered Peninsular Bighorn Sheep, among other species of concern. The state has ordered Borrego to reduce its water consumption by 75 percent due to the community using more groundwater than is being replenished by rainfall, a fact that proved the key factor in blocking the project. August 28, 2018 (Borrego Springs) -- What’s the first thing that comes to your mind when you think of a parade—a holiday? Decorated floats? Marching bands? What about thousands of people gathered in the middle of the desert for a parade themed “eyes to the skies?” Far from your average hometown parade, the 53rd annual Borrego Days Desert Festival on October 20th will feature an all new gravity-defying air parade. May 27, 2018 (Borrego Springs) -- Luxury starts the minute you step into the lobby of La Casa del Zorro Desert Resort and Spa, where you’ll hear a cheerful “May I help you?” to begin your stay at this sumptuous resort, located in the heart of the beautiful and historic Anza Borrego Desert in San Diego County. 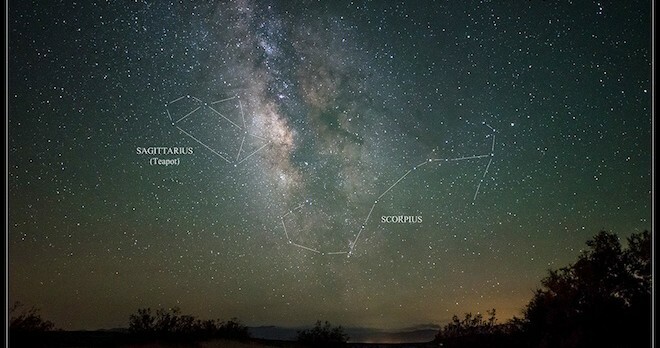 May 7, 2018 (Borrego Springs) -- Borrego Springs and the surrounding Anza-Borrego Desert State Park are among the best places in the world to see the night sky, drawing visitors from across the globe. Borrego Valley Inn, an intimate couples-only hotel and its sister property, Palm Canyon Hotel & RV Resort, a Western-themed, family-friendly hotel also offering ‘50s-style vintage glamping, both provide historic charm and comfort for guests seeking affordable lodging as well as celestial night sights. April 30, 2018 (Borrego Springs) -- Emergency response vehicles from Cal Fire, the San Diego County Sheriff, Borrego Fire, and State Parks were called to the scene this afternoon of a helicopter crash north of Borrego Air Ranch airstrip, east of Borrego on Stinson Road at about 1:30 p.m.
April 24, 2018 (Borrego Springs) – Located in the heart of the Anza-Borrego Desert in the furthest east reach of San Diego County, Borrego Springs is a place where visitors are surrounded by nature, can stargaze in an internationally designated “dark skies” region, enjoy spring wildflowers, visit the largest state park in California, gaze at whimsical statues across the desert and also find cultural attractions from art shows to musical programs in a performing arts center. January 9, 2018 (Borrego Springs) – Photographer Peter Tellone sent in this postcard-perfect image of a rainbow after the storm in Borrego Springs. You can view more of his works at petertellone.com. December 30, 2017 (Borrego Springs) – Rams Hill Golf Resort in Borrego Springs is hosting a New Year’s Eve dinner/dance on December 31st starting at 5:30 p.m. Before the ball drops, you can enjoy live Sinatra-esque music from the Golden Era. The evening begins with tray pass hors d’oeuvres, followed by a three-course meal at $99 a person. December 1, 2017 (Borrego Springs) – Borrego Springs Performing Ars Center will present “Here We Come A-Caroling, Borrego Style” on Saturday, December 9 at 7:30 and 9 p.m. and again on Sunday, December 10 at 3 and 4:30 p.m.
You’re invited to come sing carols with neighbors and friends while being entertained by Borrego's finest musicians and orators. A program of songs, heartwarming stories and surprise appearances will lift your spirits and add joy to the Holiday season as you celebrate, Borrego style. October 23, 2017 (Borrego Springs) -- The County broke ground over the weekend on a public park, a new library and a Sheriff’s station in Borrego Springs. October 1, 2017 (San Diego) -- San Diego Gas & Electric (SDG&E) this week announced a $100,000 charitable grant to purchase essential equipment and medical apparatus for San Diego County Fire and rural fire agencies to better serve local communities and protect the region from future fires. Update August 27, 8 a.m. The fire is now 80 percent contained and Montezuma Valley Road is reopening. Full containing is expected later today, Cal Fire reports. Update 9:30 p.m. The Montezuma fire is now 60 percent contained. August 26, 2017 (Borrego Springs) -- The Montezuma Fire has charred 62 acres and is now 20 percent contained, with forward spread stopped, Cal Fire reports. The blaze began this afternoon when a Jeep Fire ignirted dry brush along Montezuma Valley Road near Borrego Springs. Overnight camping options are also available on separate dates. June 1, 2017 (Borrego Springs) – The 47th annual Anza Borrego bighorn sheep count is set for June 29th through July 1st, with a mandatory orientation on June 17th for all new counters and recommended for those who participated in the past. The count will go on despite the death of its long-time leader, Ranger Steve Bier. “We were unable to find the master sheep count mailing list,” states a letter from Anza Borrego Desert State Park Superintendent Kathy Dice and volunteer Sheep County Coordinator Mark Jorgensen, who are organizing a new sheep counting team. If you know of counters, please forward their contact information to AB.Sheepcount@parks.ca.gov. March 12, 2017 (Borrego Springs) – The recent rainstorms have created quite a sight in the Borrego Springs area: a desert wildflower bloom that hasn't been this vibrant in years. But those blossoms are also attracting huge crowds, the San Diego Sheriff’s Department warns, and that’s led to traffic problems on roadways in and around Borrego Springs. February 26, 2017 (Borrego Springs) — The 28th annual Circle of Art Show and Art Sale celebrating art in the desert will take place Saturday March 18 from 9 a.m. to 5 p.m. .and Sunday, March 19 from 9 a.m. to 4 p.m. at Christmas Circle in the heart of Borrego Springs. February 13, 2017 (Borrego Springs) – This year’s heavy rains may result in one of the most spectacular wildflower seasons in recent memory in the Anza Borrego Desert State Park. February 12, 2017 (Borrego Springs) — The Borrego Days Desert Festival faces possible cancellation this year due to a shortage of sponsors, the Borrego Sun reports. The festival has taken place for the past 52 years as a tradition to welcome snowbirds who flock to the desert each winter with a parade and other activities. Listen now to our interviews, originally aired on KNSJ radio, by clicking the audio link above. February 7, 2017 (Borrego Springs)—In April, the Anza-Borrego Foundation will celebrate its 50th anniversary. We recently interviewed Paige Rogowski, ABF’s executive director, on exciting events coming up to celebrate the occasion. In addition, we interviewed Diana Lindsay, a historian who has written extensively about Anza Borrego Desert State Park. They shared some fascinating history with us about our desert region, and the colorful characters from the region’s past, info on the State Park, as well as the Foundation’s successes and continuing efforts to purchase and preserve privately owned lands within the largest state park in California. October 19, 2016 (Borrego Springs) – How do arthropods create micro-communities in cacti? What is the state of the puma population in Anza-Borrego Desert State Park? How did places in the Park like “Alcoholic Pass” and “Hellhole Canyon” get their names? May 26, 2016 (Borrego Springs) –In June, the Milky Way will be a spectacular sight to behold in the night sky over Borrego Springs. You can join world famous night sky photographer Dennis Mammana to learn the fine art and science of capturing the Milky Way with your camera, along with many other remarkable celestial sights visible in the clear, dark desert sky at a night sky photography workshop June 25-26. February 23, 2016 (Borrego Springs) - It’s Garden Tour time in the desert and the 18th Annual Borrego Springs Garden Tour invites visitors to experience private gardens and homes at their own pace from 9 a.m. to 3 p.m. on Saturday, March 19.